If president Obama to be a transformative leader that leaves a lasting mark on American history, he should rise to the many challenges ahead. BSMG — Like most political enthusiasts I stayed up all night to watch the American election. I always knew there was no doubt about an Obama victory but I was more interested in what kind of victory it was to be. It was sadly, as predicted by most pollsters, by the slightest of margins despite the Democrats holding most of the key states such as Ohio and Florida. 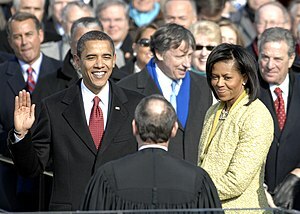 The victory was neither pretty nor inspirational like the 2008 elections when the promise of change and hope came to symbolise Obama’s candidacy. This election was one of the most expensive and negative in modern history. It was almost void of policies apart from scaremongering of what the other candidate could do and who they represented. Even Obama who elevated himself above negative campaigning in 2008 had to fight the advertising defamation wars on TV and radio throughout the campaign. Despite all this, Obama won and no matter how ugly, a win is a win and a mandate for another four years in the White House. Whatever the liberals think of Mitt Romney he ran a good race which was reignited by President Obama’s first disastrous Presidential debate where he looked mentally absent. It’s amazing now but one must remind themselves that Romney was a candidate whose own Party members were divided over his presidential candidacy at the beginning and to some extent throughout the race. He was hampered by his early shift to the right to appease the Tea Party diehards and had to quickly shift back to the centre right after he secured the Republican candidacy. Obama’s victory speech was not euphoric like in 2008 but more sombre, like a soldier returning from a difficult and bitter first tour of duty. It was as if all the hopes and dreams of 2008 suddenly were strangled on stage by the bruising reality of government and leadership. This Obama was more realistic and addressing a weary audience who whilst voting for him, can only hope that he can address their economic woes and declining fortunes better this time round with action and not soothing words. Obama was the right candidate. There is no doubt about that. His election was arguably impressive as the majority of the American people trusted him despite the stubbornly high unemployment figures marring his first term in office. He did have the advantage of been an incumbent and only a few of these have ever been forcibly removed from the White House by the electorate in the past just after one term. Even George Bush was given a second term where his father was not. Tehran, Beijing and Moscow no doubt will breathe a sigh of relief knowing that a hawkish and confrontational potential American President has been reduced to a footnote in history. Was it the auto industry bailout? Could a better Republican candidate have beaten Obama? This is all irrelevant now. Close analysis shows that Obama did best with the young, Black and Latino Americans as well as younger single urban women who were put off by Romeny’s stance on abortion. He did very poorly with the older and Southern white male voters. These groups saw and still see Obama as a soft Liberal with an ambition of creating the kind of big government and introducing the regulations, they abhor. Although most would think Socialism meant any state interference, they do not want to give up their guns, pay more taxes or discuss anything that remotely sounds blasphemous and offends the good Lord’s teachings let alone accept it. However, for President Obama who has proven to be a very centrist leader the ideological divide of America will be a continuing headache. This will be coupled with the looming fiscal cliff he need to tackle quickly before the automatic restructuring of the American economy is triggered by emergency legislation in the early part of the new year if the political gridlock continues from his first term. The same fears that helped him win the election, keeps the nation divided and Americas future progress hostage. America, despite Obama’s best efforts to unite it with his election night speech, is now a nation of red and blue states, where people have different visions of their nation. This is not only a sign of the difficulties to come for Mr. Obama in his second term but an indication that if he wants to be remembered as a President for all Americans he needs to appeal to more than just single women, Latinos, minorities and blacks in safe Democrat majority States. President Obama is obsessed with leaving behind a lasting legacy. He wants to be more than just the first black president of America and this is a genuine desire that drives him in his actions. However, to do this he must widen his small liberal circle of friends and advisers to include critics and the wider public. He needs to leave the White House regularly and tour the Southern States to speak to Americans and not dictate to them from Washington further fuelling their hatred for the central government. It would be impossible for Obama to leave any legacy behind when half the nation dances to his victory and the other returns home in tears waiting until 2016 to see the back of him. Obama, to take his place among the great leaders of America, cannot govern only for half of America. President Obama’s key challenges are to stop America from falling off the fiscal cliff by reaching a grand compromise with the Republicans and to restart the economy in the face of tough global competition. His promise that the best of America is yet to come may be an exaggeration economically but if he can unite the country behind his leadership it may become a political reality. Americans, to face the fierce global competition for jobs and investment, must be honest with themselves and realise that their nation is a super power with waning influence. President Obama did not bring this about but his second term in office is crucial to American economic revival as if he can work and unite the unions, business leaders and the public, he will be able to negotiate a more prosperous future for his people than is offered by trade wars with the emerging economies such as China. On the home front, the Republicans are deeply wounded and any in this Party who have political ambition will now be thinking about how they can connect with the changing, ethnically diverse voters. This is an opportunity for Obama to exploit when seeking alliances in getting agreement for his policies. Not all will agree but for their future political security and survival as well as a need to save their nation, some Republicans will work with Obama to make America a better place. He just needs to identify these people and compromise. The challenges facing President Obama are enormous. He needs to unite his politicians at home and stand up to a more aggressive, confident and developing world which wants his nation’s wealth and jobs. He also needs to honour the promises made to his electorate on the back of one of the deepest global economic recessions since the depression. In any country where there are only two political Parties and no real room for independents there is bound to be polarisation. The winner takes all feeling makes division more clear. However, this lack of plurality also provides President Obama with ideological and political fluidity that he can exploit to unite his legislators and nation. Leadership has always been about choice and decision. Obama will have to upset many in his second term like the trade unions to make America more competitive economically and this is the price he will have to pay to have any real legacy. Legacies are forged by taking difficult decisions in the national interest and leaders are remembered for what they do and not say. To be a transformative leader that leaves a lasting mark on American history, President Obama has to rise to the many challenges ahead. I wish him luck.